Safety: Pense Brothers Drilling Company, Inc. - Pense Bros. Drilling Co. The objective of Pense Brothers Drilling Company is a safety and health program that will reduce the number of injuries and illnesses to an absolute minimum, not merely in keeping up with, but surpassing the best experience of similar operations by others. Our goal is zero accidents and injuries. 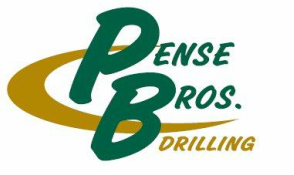 Pense Brothers Drilling Company employees are required to complete job specific orientation and OSHA compliance training before being assigned to a rig or other workplace environments and must update their training regularly. Employees start their shift by holding pre-shift safety meeting reviewing HS&E incidents (causes and corrective actions) safe equipment operations and JSA’s on the tasks to be performed during their shift. SSE program applies to employees who have less than six months service with the company. The purpose of the program is to ensure that these employees have an initial orientation of safety requirements prior to performing work under direct on-site supervision of a designated employee who also serves as a mentor/trainer. SSE’s must be easily identified while on our locations. This is accomplished by requiring SSE’s to wear a green colored hard hat. Pense Brothers Drilling Company is committed to the safety of its employees. Accidents and injuries are merely a result of failing to properly train, monitor, inspect, correct and supervise employees. Safety is simply teaching people to do things right and eliminating workplace hazards, so by doing these two things our goal of zero accidents and injuries is attainable.